What does ‘credit limit’ on credit card entail? Every credit card has a specified credit limit specified by the bank issuing the credit card. This limit is specified when the bank issues the credit card to the applicant. 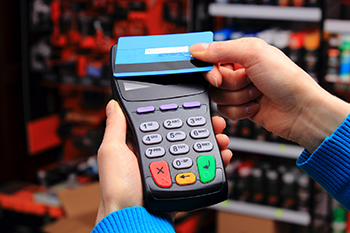 Every credit card has a specified credit limit specified by the bank issuing the credit card. This limit is specified when the bank issues the credit card to the applicant. The credit cardholder has to limit his monthly expenses charged to the card within the credit limit specified by the bank. In other words, credit limit is the maximum amount that can be outstanding on the credit card account at any given point of time. The credit limit is shown on the monthly statement along with amount of available credit on the day of issuing the statement.The credit limit set by the bank for withdrawal of cash through credit card and the credit limit for expenses that can be charged to the credit card are shown separately. For example, the credit limit for withdrawal of cash could be, say, Rs 50,000 while the credit limit for the expenses that can be charged to the card could be, say, Rs 1.5 lakh, so the total credit limit for the cardholder in this case is Rs 2 lakh at any given point in time. If the cardholder incurs any expenditure in excess of the credit limit, he has to repay the excess amount immediately as it attracts overlimit fees and service charges. The overlimit charges can be anywhere between 2.5-3% per month, plus the interest the overdrawn amount can be in the range of 3-3.5% p.m. So, withdrawing cash or spending more than the credit limit specified by the bank can be a costly affair. An add-on card is also subject to the overall limit of the primary card as the transactions done on the add-on card are charged to the account of the primary card.